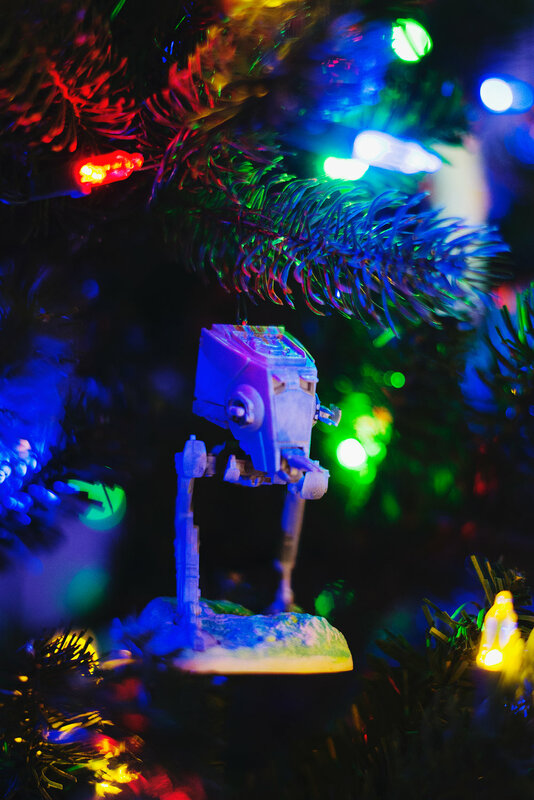 Don’t be deceived by the title – I’m not headlining an article about a Star Wars tree product that exists as a wholesale item sold in Home Depot or Lowe’s. 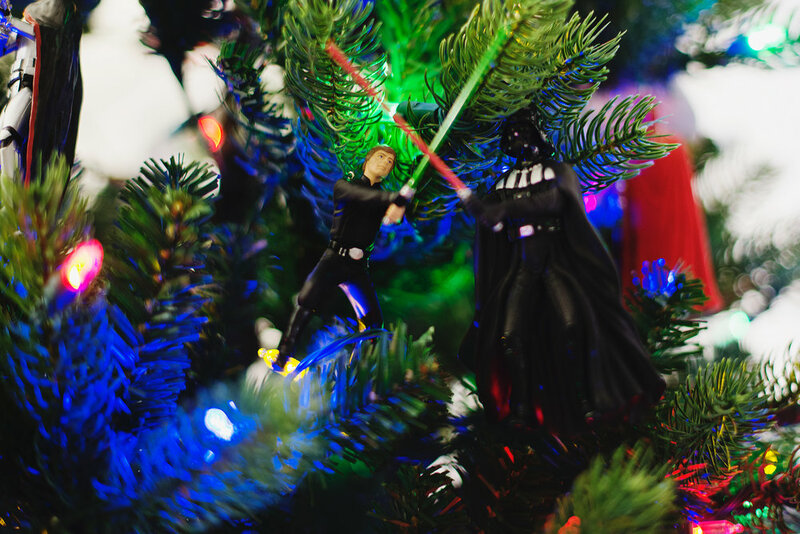 No, I am talking about a literal Christmas tree that is decorated with ONLY Star Wars ornaments. Hallmark ornaments, to be precise. Shall we take a brief respite to let that sink in? Yes, this glorious piece of holiday cheer is real, folks, and belongs to my amazing brother-in-law (and my sister, by proxy). And every Christmas season for the last fifteen years, I’ve been slowly dying a death from jealousy. I’m not ashamed to admit this because that’s a completely normal response to something so galactically awesome, right? If not, then I’m going to sit here quietly and question your card access to the Star Wars fandom. Anyway, brother-in-law-Mike has been collecting Star Wars ornaments since long before I or my family knew him; he was born in 1978 and has been a superfan of GL’s masterpiece from the start. 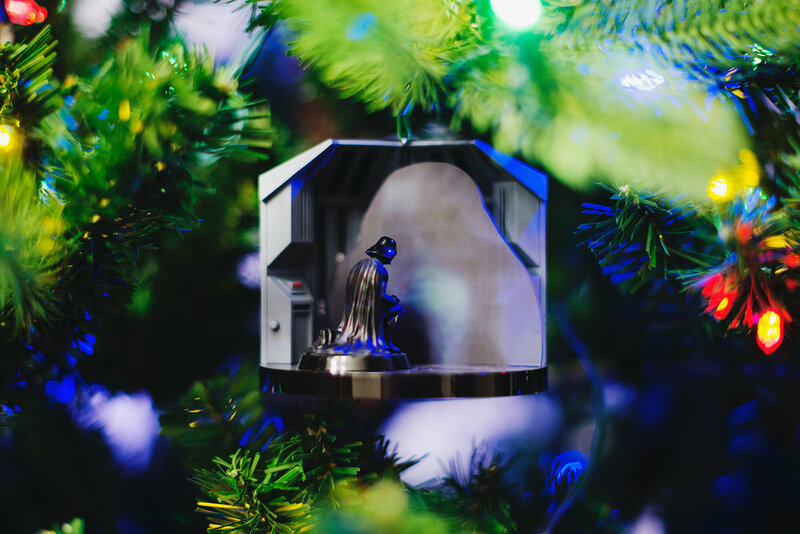 One might go so far as to suggest that the SW tree is the physical representation of that love – though, I suppose this could apply to every collector and their preciouses. When my sister and Mike bought their first home in the summer of 2005, by the time Christmas came around, I was jumping to finally get a proper introduction with The Tree. It was magnificent to see all the time, money and decision making (touch on this soon!) he had done to put together such a thing of beauty. 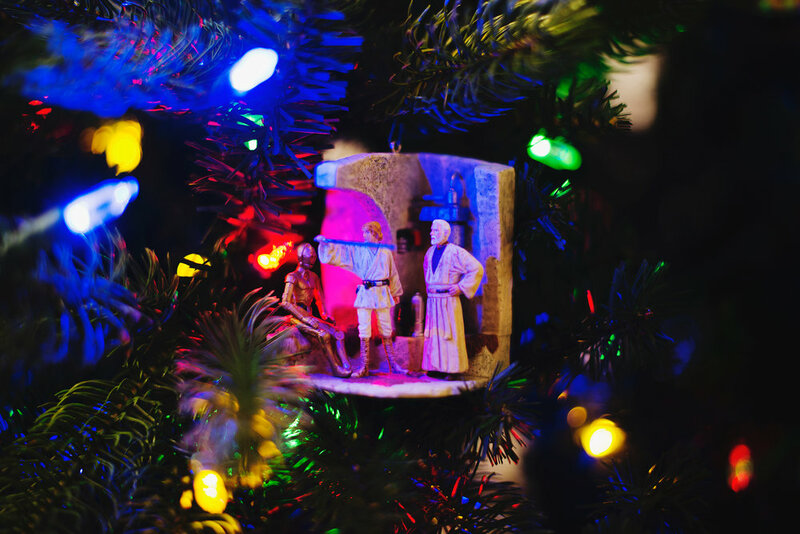 Every year since Hallmark started their SW ornament line (1996), he has been habitually gifted these ornate and long sought-after tree decorations; varying from family, friends, and even himself, Mike simply gets them all. Should he miss any due to sellouts or limited special editions, my sister typically hunts them down via eBay, so the collection is complete and continues on. The Tree always gets what’s coming to it. About that decision making I mentioned earlier, well, Mike arranges the ornaments according to the level of his love over each individual movie. Empire is his favorite, so that takes up the entire front middle, Jedi stakes its claim to the right while A New Hope owns the left. The Force Awakens revolves around Jedi a bit, because he keeps it as linear as possible, which is another reason to love the guy. Fun fact: this year, Mike had to purchase a newer, larger tree, as the previous one simply didn’t have room enough for such an expansive collection. Oh, and did I mention this is just the SW tree? My sister and Mike have their separate family one as well. That’s how heroic this project of his is. He gets his own tree; luckily my sister is also a giant SW fan, so it works out for everyone in the end. Lastly, the thought finally came to me that YES, I should photograph the tree soon as it goes up in 2016! And I did just that. Regrettably, as much as I’d love to capture every single ornament and post a gallery chock-full of these plastic, oft-motion activated goodies, the blog space alone would be far too impractical! Perhaps this is just a sneaky little reason to do an annual photoshoot, so that we can create an ongoing series? I mean, it is an impressive tree – a most impressive tree. My Rogue One Experience Sucked!